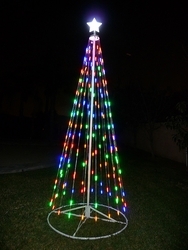 This 9 foot tall tree light comes with 168 super bright color LED lights (red,green,blue,yellow) and a lighted white star included. 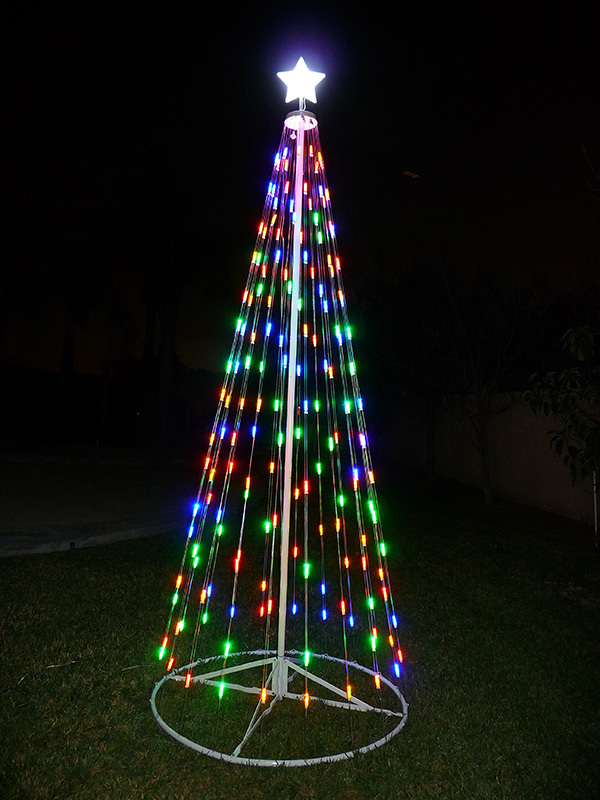 The tree light uses a UL listed outdoor low voltage transformer making it both safe and energy efficient.The remote control turns on/off the tree lights and sets 8 different flashing modes. 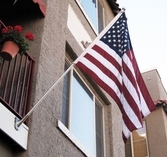 Sturdy metal construction with powder coat finish. Setup is easy using the foldable structural base. Simply unfold the base center and align the sectional curved tubes together and secure them with screws (hardware included). It also comes with 4 metal stakes to secure the base to the ground when needed outdoors. This foldable structure also makes storage easy and compact.